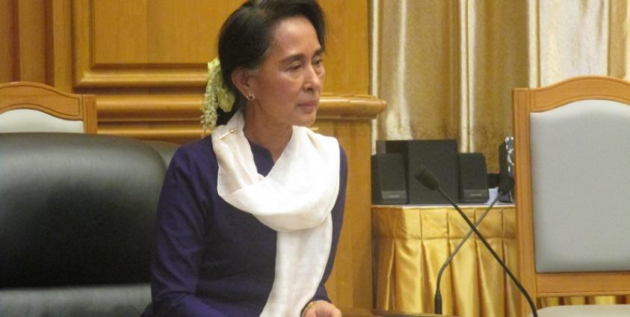 The Karen State government will invite the State Counsellor Daw Aung San Suu Kyi to the upcoming multi-ethnic cultural festival in the Karen State. Led by the Karen State government, the first multi-ethnic cultural festival will be held at Thiri Stadium in the state’s capital Hpa-an from February 9 to 12. “We have invited her verbally a few months ago. We will only get the invitation card today so we will send it to her as soon as we get it. The State Counsellor has to go on foreign trips and the Union Day is approaching so we don’t know whether she can attend it or not. We will only know when it is drawing closer,” U Tayza Htut Hlaing Htwe, the Bamar Minister of the Karen State, told Karen News on February 1. The President, union ministers, and ethnic armed organizations will also be invited to the cultural festival, he continued. The multi-ethnic cultural festival aims to preserve the traditions and customs of ethnic people living in the Karen State and boost friendship. The festival will include historical items, literature, costumes, photos, paintings, traditional gift shops, traditional food, traditional sports and traditional music and dance performances from the partaking ethnic groups, according to the festival coordinators. Preparations are underway for the cultural festival and the festival’s night program includes traditional sports, traditional music performances, and traditional dance performances of Karen, Pa-O, Shan, Mon, and Bamar people by 68 dance troupes. Officials from the Karen State government said the upcoming festival is the first multi-ethnic cultural festival in Burma and plans are underway to hold similar festivals in other states and regions.